Published: Nov. 13, 2011 at 07:41 p.m. 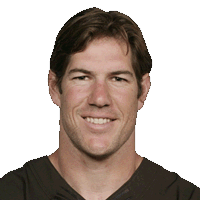 Published: Nov. 13, 2011 at 01:59 p.m.
Browns LB Scott Fujita picks off Rams QB Sam Bradford to give Cleveland possession. (14:22) (Shotgun) D.Brees pass short left intended for L.Betts INTERCEPTED by S.Fujita at CLV 3. S.Fujita to CLV 19 for 16 yards (C.Nicks). Published: Oct. 10, 2010 at 04:13 p.m.
(13:13) (No Huddle, Shotgun) M.Ryan sacked at ATL 25 for -9 yards (S.Fujita). FUMBLES (S.Fujita), RECOVERED by CLV-K.Coleman at ATL 25.